Undergoing any orthopedic surgery has its risks and can be quite terrifying. Hip and knee replacement surgeries can be doubly concerning, as these surgeries are extremely delicate and methodical. If you reside in the Raleigh, North Carolina area, and have been searching for a reliable, experienced, and extremely skilled orthopedic surgeon, be sure you don’t settle with just any surgeon. While many orthopedic surgeons are board-certified and experienced, you may want a practitioner who has advanced training in the physical area for which you need surgery. The award-winning talents of Dr. Brett Gilbert may be the expertise and skill you’re looking for in your search for a hip or knee replacement surgeon. Dr. Gilbert has expertise from his advanced fellowship training in hip and knee replacement surgery and is a board-certified orthopedic surgeon. Dr. Gilbert earned his bachelor’s degree from the University of Illinois, and his medical doctorate from Duke University School of Medicine. At Duke he also completed his orthopedic surgery residency with Duke Orthopedics. He specialized his medical education by training with an adult joint reconstruction fellowship at Rush University Medical Center in Chicago. Certified by the American Board of Orthopaedic Surgery, Dr. Gilbert specializes in treating arthritis in the hip and knee. He and his staff have experience and expertise in many orthopedic treatments and surgeries. Dr. Gilbert is a member of the American Association of Hip and Knee Surgeons, the American Academy of Orthopaedic Surgeons, and the North Carolina Orthopaedic Association. He is commonly known among patients and medical professionals alike for his kind and compassionate nature. His practice shows that he truly cares for his patients; their wellness and health are his top priority. If you are looking for a new orthopedic surgeon for a knee or hip condition, be sure to choose one who is board-certified and has a wealth of knowledge and experience. 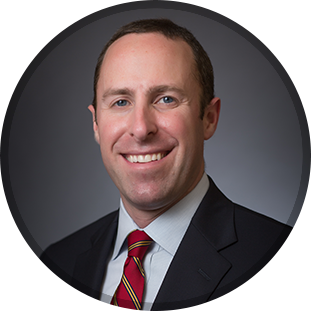 Dr. Brett Gilbert specializes in hip and knee replacement surgery and treatments, and he would be happy to help you with your orthopedic issue. Call us today at (919) 788-8797 to make an appointment or fill out our online appointment request form now. Our caring team looks forward to meeting you and helping you live a fuller, more active lifestyle.